"A memorandum for teachers who wanted to explain the principles of the League of Nations in schools", published in 1928. 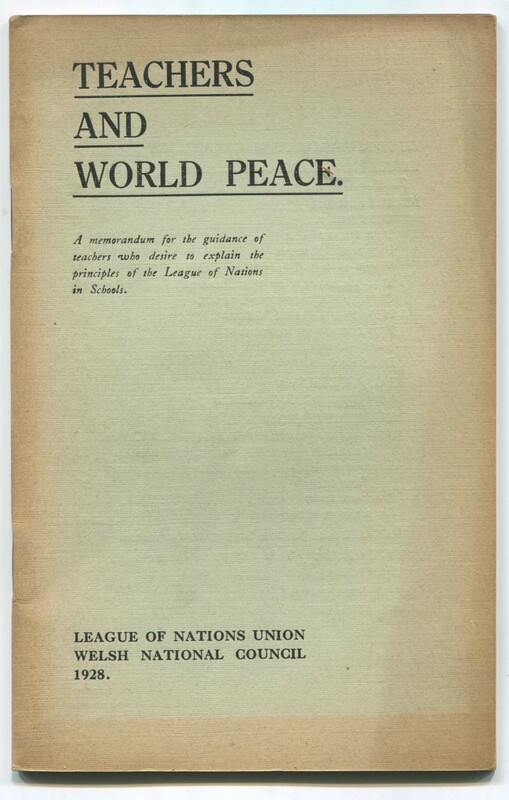 The League of Nations Union was founded in the U.K in 1918 to promote international justice, collective security and permanent peace between Nations. It is based on the ideals of the League of Nations "